Music Video entitled, “Vande Mataram”. That is the essence of India‘s national song. Translated literally, Vande Mataram would mean “Hail the Mother.” In this case, Mother refers to motherland. The song is at the centre of raging political furore these days. It started with an innocuous central government directive to state governments, asking for the song to be sung at public functions on September 7, the day marking the end of Vande Mataram’s centenary year. The directive sparked off protests from a quarter of Muslim politicians and intellectuals, who felt the song’s lyrics went against the tenets of Islam. How so? Because it hails the motherland, as opposed to Islam’s advocating the worship of none other than Allah. They demanded the government make the singing of the song optional, not mandatory. The government agreed. Which in turn invited the anger of Hindu nationalist politicians, who declared those averse to singing the national song should leave the country. It’s the contextual relevance of the song, which is sadly getting overlooked in this political slugfest. Vande Mataram was a war cry for Indian freedom fighters during the British reign. Every nationalist, irrespective of his or her religious affiliation, had these two words on their lips. The chant became such a potent symbol of nationalism that the British banned its utterance in public and arrested anyone who violated this diktat. To this day, if seen in films and music videos, the song stimulates a degree of patriotic fervor in Indians, including for those of the post-independence generation like me. Is the letter too hard to overlook to appreciate the spirit of the song? This is a song which united Indians to rally against the biggest imperialist power. Politicians in independent India are using it as an instrument to incite divisive sentiments. What could be more ironic? Q: Khan saheb, you have never differentiated between religions, you believe all are one. 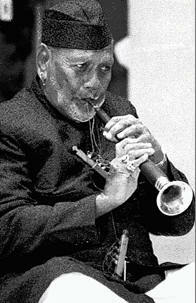 Ustad Bismillah Khan: They are one, absolutely one. It’s impossible for there to be any division. This voice you hear, it’s that which we call sur*. Isn’t it reasonable to expect that if you are a citizen of a country, you will uphold its best interests above everything else? How can you owe a greater allegiance to some other entity? Doesn’t that make you a traitor by very definition?While I hate the Hindu fundamentalists just as much as I hate the Muslim ones, I think they might have a point here.I think this issue is beyond just Hindu/Muslim divisive politics. For example, what is to stop say a Religion X from owing allegiance to China for example? Are they being good citizens? It does seem as if people everywhere are looking for something to feel angry about. Or maybe they are already angry and looking for an excuse to express it? It’s so sad that something that once united a people is now used to divide them. They need to focus on a higher level of being, where we all are one. I was sorry to see that India also has those who would use hatred to divide the country. These tactics seem to be everywhere, and so many people easily fall victim to that way of thinking. It is always heartening to read opinions that promote unity and not hatred. A sad post about a sad situation.My father was Bangladeshi and my mother was English so there was always strife about religion for us kids in our house until they agreed simply to disagree and leave us to find our own way. I am a Christian, one sister was Jehovah’s witness for a while and the other two are agnostics.In the Bible Jesus makes a point about state and religion when he says ‘Render unto Caesar, that which is Caesar’s’. Loyalty to state does not preclude loyalty to God – how could it? Venerating the land from which you come seems to me a way of venerating the God who gave you the land in the first place.Generally, religious leaders and their blind followers have always fostered division. Which of us really believes that will change any time soon?As for the idea of all religion being one, yes, that does make sense. After all, truth is truth, even if we don’t fully understand it yet. What does seem to be clear is that man has a fundamental need for spirituality. What truly beautiful imagery in that video. It’s sad when the most symbolic, moving symbolisms get swept into political struggle. I hope for a peaceful ending to this. Beautiful post. Yoda, I fully share your sentiments. For me, the land comes before anything else. Unfortunately, religion alone can’t sustain you; but your land does, with or without your religious affiliations. The Palestinian struggle is a living proof of this. Like you, for once, I too find the Hindu fundamentalists’ arguments justified. Georganna, I couldn’t agree with you more. They need to focus on a higher level of being, where we all are one. Yes!Wandering Author, sadly, the entire world is falling prey to such forces of division these days. It’s important to keep reminding ourselves of the dangers of such mindsets.Amin, great points you make there. I am in complete agreement with all you say. As for all of us being one; why, yes, there is absolutely no doubt about it. Think of the time when man hadn’t started any religion. What was there? Only the ONE. Religion, faiths, doctrines–these are all concepts and conditioning we inherit from our predecessors. Take away all of those, and aren’t we one already?Lotus, the video evokes the same response in me. I love the Jana Gana one too. :)Sigh, ideed. Cesar, I am so glad you liked the video. A. R. Rahman, who composed the music for it (and also features in it himself), is a Muslim. He has no problems chanting Vande Mataram. And he happens to be one of the most popular figures in India. Vande Mataram, the song of our freedom struggle is struggling to retain its existence. Extremists like Syed Imam Bukhari are out to label it anti-Islamic. It is astonishing and deplorable to see how our national song, commanding the highest honour, renders itself to the polarised views of different political parties and communities. Vande Mataram, our national song authored by Bankim Chandra Chatterjee, does not allude to any religious sentiments. The song held sway during the freedom movement and was the motivating fulcrum around which the selfless citizens and leaders fought against the British. It inspired millions and brought under its spell nationalist leaders to sacrifice their lives and work for the liberation of India. Then why our politicians are taking national song as an ego? If our political leaders have scant regard to the prized possessions and symbols of India, let its citizenry not remain blindfolded by religious dogmas. It is high time; all communities realise and rise in unison to sing honour and respect to the motherland. Will this remain a pipedream?If you like to read more about this controversial topic, I have to suggest a very good article written by Veeresha B.M. Thanks for visiting my blog and directing me to that article, Anon. It is quite well written, and I agree with the views expressed there. You get two links Bhaswti! The insight this video gives to the people of India, is remarkable. To then scroll down and read of the strife that is being caused, hurts my heart for you.We have similar arguments here in the US, over our pledge and our national anthem. Things created to provide unity in our country as we tried to throw off the British rule as well. In somethings our two countries are very alike. I was going to say what Georganna said. It’s ridiculous, and it’s everywhere these days. Life is too short to spend time worrying over being offended by something. BK, many thanks for the links. Know what? As long as the majority of ordinary people like us don’t fall for the cheap tricks of these politicians, they are never going to succeed. Matt, if only people whose sole aim is to divide the masses understood that simple fact. It’s all this bowing to Islam that gives them such courage to make such demands. I just hope that some country, somewhere, will take a stand against this kind of religious thuggery, and that other countries will back it up. Look what those cartoons did, and how everyone ran with their tails tucked. But nobody has a problem with cartoons of Condoleeza looking like an ape, or of Jesus in compromising positions. I’m sick of all the hypocrisy.